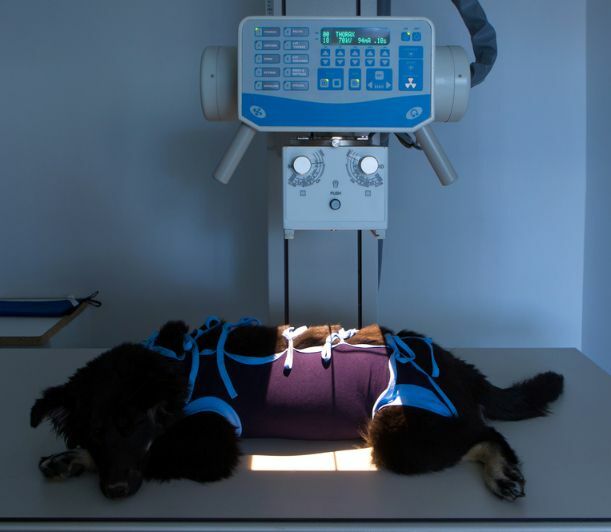 To provide your pet with the best medical care, Long Trail Veterinary Center uses the latest in computerized radiology equipment as part of your pet's diagnostic care. Digital radiographic images are far more detailed and offer a range of features that enhance your veterinarian's ability to make an accurate diagnosis. Because our radiographs are digital, we are also able to easily submit them electronically to a board-certified radiologist for timely consultations, if necessary. Performing preventative medicine as well as diagnosing emergent internal health issues requires the ability to perform a wide range of laboratory tests on blood, urine, feces, and biopsied tissue. Without timely access to precise laboratory test results it is difficult to make an accurate diagnosis or assessment of your pet's health. Long Trail Veterinary Center has a complete in-house laboratory that allows us to perform "real-time" laboratory work such as urinalysis, parasite identification, electrolytes, red/white blood cell parameters (hematology), and complete chemistry profiles to assess liver and kidney parameters. In some cases, we can receive results within minutes. Our lab is also useful for helping us properly evaluate your pet prior to any procedure requiring anesthesia. At Long Trail Veterinary Center, our goal is to provide all preventive, medical and surgical options available for the treatment of your pet. If at any time we feel it is advisable to seek a referral, options will be discussed and arrangements for a consultation with a board-certified specialist will be provided. Your pet deserves the best veterinary medical care available. In order to provide outstanding care for your pet, we have partnered with specialists in the fields of radiology, cardiology, reproduction, ultrasound, internal medicine, oncology, ophthalmology, advanced surgical techniques, rehabilitation (major surgical orthopedic procedures) and behavior consultations.